Everyone recognizes himself or herself by name. It was the custom for Afrikaner married couples to name their first son after the husband’s father and their first daughter after the wife’s mother. My granny had 7 children, 5 of them had daughters!! Therefor in my family there were 6 Aletta’s!! This photo was taken in the early sixties, me being the youngest! That’s interesting! I have an uncle called Aalet. Ek wonder ook baie hoe ver terug my naam gaan. Weet dat my ouma seker in die laat 1800’s gebore was. Weet niks van haar voorgeslagte nie. My name is van moederskant. Daar is selfs adelike bloed wat in my are is! Thank you for sharing this beautiful, special photo! A cool take on, Aletta! Dit is seker vir jou n baie spesiale foto, Aletta? Ek dink dis n wonderlike tradisie, en wat n beter manier om my oorlede Pa te vereer as om my seuntjie na hom te kon vernoem! Ja die foto is baie spesiaal, Dries!! Dis ‘n goeie tradisie! I love the photo and you are so cute – and six aletta’s – now that is fun. Thanks Yvette!! 😀 Yes 6 of them!! So interesting and a lovely custom! I love that photo! Dit is nou ñ wonderlike foto. Een wat jy kan bewaar vir die nageslagte. Dit is soos Hester sê, goed om te kan ‘behoort’. Dankie!! 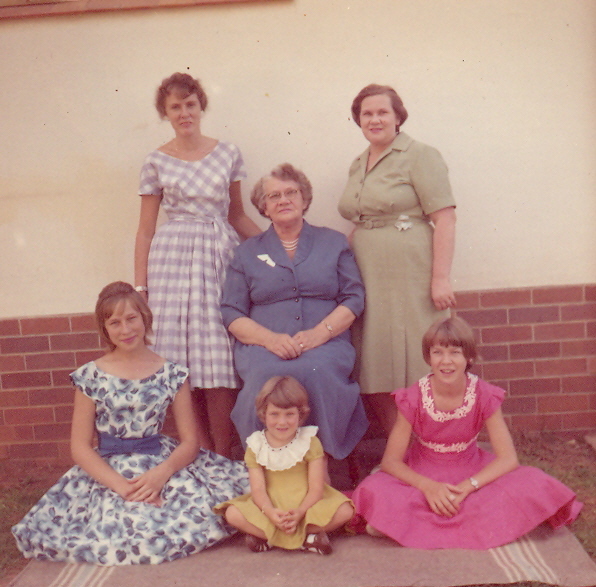 My ouma het agter op die foto geskryf “Die 6 Alettas” Baie spesiaal. Mens kan nie dink mens was so jonk nie nê! Almal ewe mooi, die Alettas. I rather like this naming convention. I was named for my mother and grandmother, in fact, I was able to trace my name through seven generations in my family and it always gives me such an awesome sense of “belonging”. Dankie, Hester! That is so true! Wow, seven generations!! I also feel that family names are very dear to me but… today’s young ones want these exotic names. Wonder what is going to happen when a boy is born here. That is so very true Hester! Absolutely!! I’m glad I did not get any nicknames! Love this. Great photo. I was going to ask how you knew you were being called to but I see your answer above. That’s very interesting! In a family gathering, how would you know who is being addressed?! That is interesting that I am the only one that they called by the propper name Aletta, The others were Lee, Alet, Alta, Lettie and Gran. Aww that’s sweet. 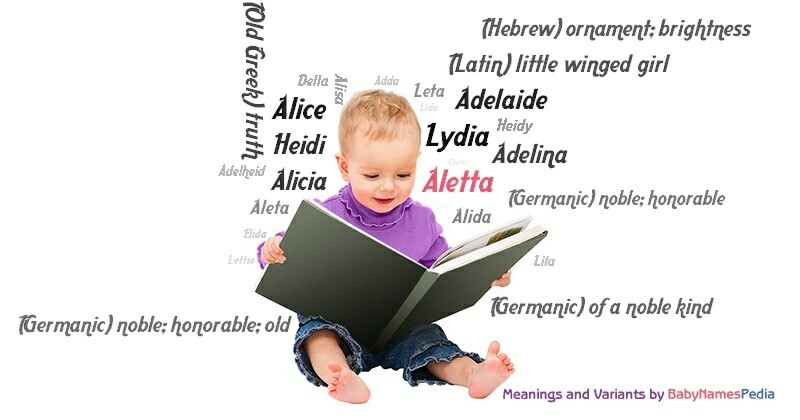 And may I add, Aletta is a dear little name. No wonder so many of you were named that!